Now confirmed - Dom will play Wessex Folk Festival on Sunday 2 June. Venue info will follow in due course - the time slot will be somewhere between 11.30 and 3.00 pm. Watch this space for more details as they come in. Browse the line-up on the Wessex Folk Festival website to see who else is on and get a flavour of this sunny seaside folk extravaganza. Good news - there will now be two performances by Dom Prag at this year’s Wimborne Minster Folk Festival. So if you don’t catch him on the Garden Stage at The Olive Branch at 12.15 on Sunday 9th June, you’ll have a second chance at 2.30 pm. Details of the new slot will follow as soon as they are confirmed. Tickets are already on sale for this year’s Wimborne Minster Folk Festival (6-9 June) and camping is only £10 a night for the first night then £8 a night for subsequent nights - bargain! Catch Dom on the Garden Stage at The Olive Branch at 12.15 on Sunday 9th June. 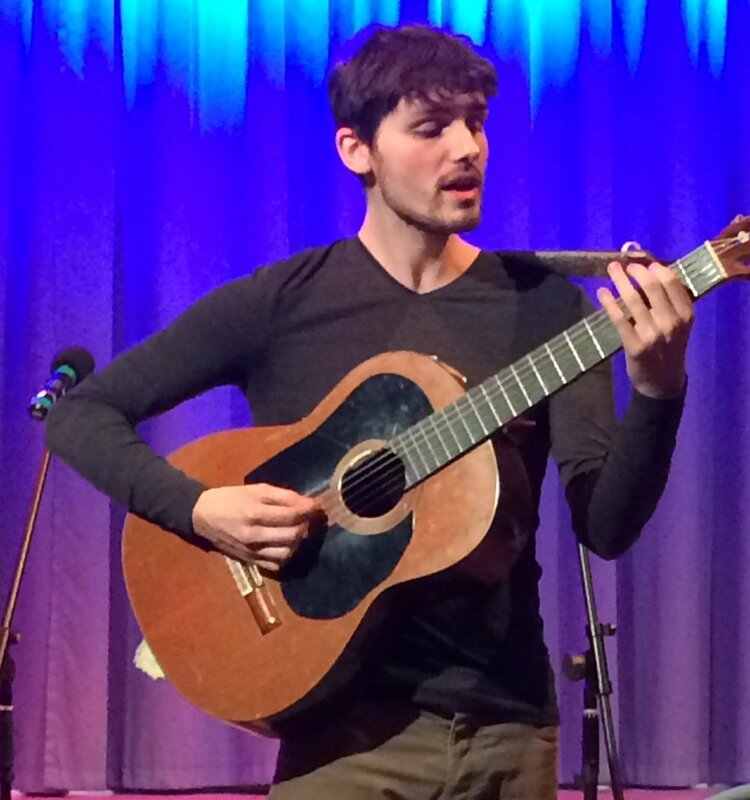 News just in… Dom will be playing two sets on Saturday 29 June at the 2019 St Albans Folk Festival. The festival runs June 28-30, with the main events being on the Saturday. There will be folk dance in the City Centre, and performances in local pubs and other venues. As soon as Dom’s venue has been confirmed we will update you. We’ve just heard that Dom Prag will be playing at next year’s Bridport Folk Festival. This will be his first time at this festival which will be in its third year come 2019. The Festival runs from 26-28 July. Dom’s performance slot is on Saturday 27 July and details of the exact time and the venue will be announced when they become available. It’s official - Dom Prag will be playing at Purbeck Folk Festival in 2019. The festival runs from 15-18 August and the Stage, the day and the time of Dom’s performance have not been settled yet, so keep an eye on this news page nearer the time. 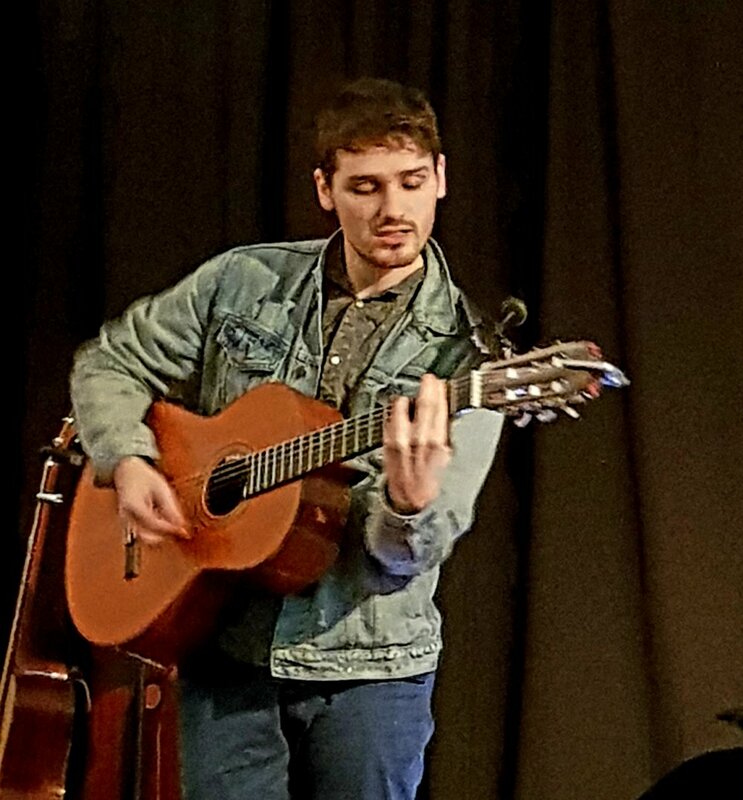 It is now confirmed that Dom Prag will play at the 2019 South Downs Folk Festival. Look out for him on Saturday 21 September on the Studio stage at The Alexandra Theatre in Bognor Regis, The actual performance time will be announced in due course.